Begin the evening with 6:30 pm wine and small bites at Dante Boccuzi Akron, then head upstairs for a flute and guitar concert with AronBerkner Duo in a beautiful and gracious penthouse atop downtown Akron’s Northside Lofts. 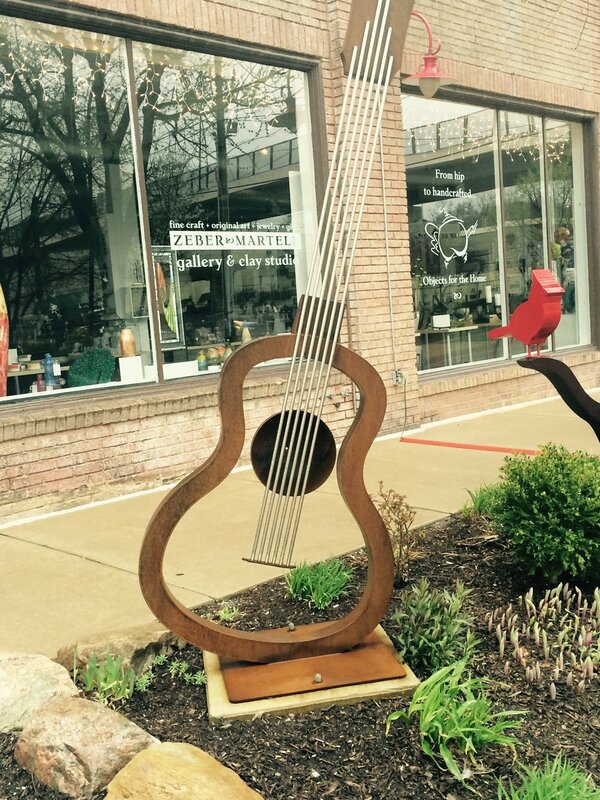 The after concert festivities take place next door at Zeber-Martell Gallery - experience the sights and textures of the art gallery while enjoying a sumptuous dessert and listening to jazz standards on the guitar. Join us for a glass of wine and a mini concert at Artwalls at 43 Furnace Street. Listen to a 35 minute concert featuring a flute and string quartet playing lively and vivacious music by Mozart, soulful and romantic works by Dvořák, and the Libertango of Piazzolla. All this while viewing a show by Akron artist Chris Klassen, hung on the Artwalls for our event! Join us for this free mini concert, our gift to you! You will need a ticket to attend.